In support of bringing GirlCode’s annual hackathon to Durban, immedia has committed to sponsoring this year’s venue by hosting the GirlCodeHack at their development studio in Umhlanga’s Ridgeside Office Park. The #GirlCodeHack is an annual event in which aspiring computer programmers, graphic designers, interface designers, business analysts and project managers, collaborate intensively over 3 days to build software and hardware prototypes. The primary goal of this event is to raise awareness of careers in technology, and to foster a competitive, yet cooperative and congenial culture for talented females. 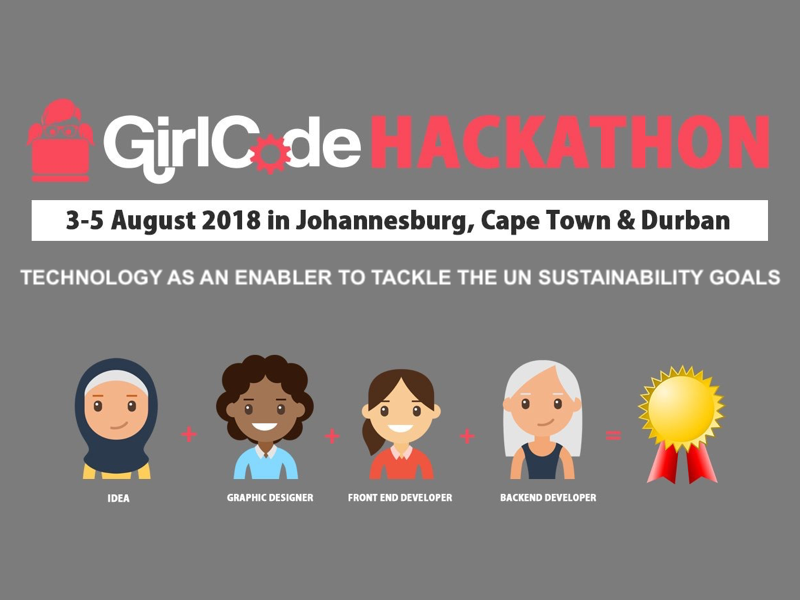 This years’ #GirlCodeHack promises to be the biggest yet, with a total of R350,000 in prizes to be won, with all participants standing a real chance to win something over the course of the weekend. The overall winning team walks away with a trip to the Women in Tech Conference sponsored by Cisco, giving you the opportunity to network and learn from women across the globe building innovative solutions. The event will take place in Cape Town, Durban and Johannesburg from 3 to 5 August, and is for the benefit of young women who are interested in creating tech products. Whilst the #GirlCodeHack has been going strong since 2014, this is the first year that South Africa’s largest all-female hackathon comes to Durban. You can sign up as an participant or sign up as a mentor. To give attendees a fair shot at the prize, seasoned programmers can sign up to become mentors to the young women, assisting teams of 2 to 4 people with advice, guidance and technical bootstrapping to bring their software projects to life aligned to this year’s theme: ‘Technology as an enabler to tackle the UN Sustainability Goals’. immedia has a strong track record of skills development within the city, having created competency in global app dev skills through their School programmes for over a decade. In addition, within the last 5 years, immedia’s focus on skills creation have resulted in dozens of jobs for local graduates, as well as free work exposure and experience for nearly 250 students and tech enthusiasts through their annual Summer School – initiatives that have helped them transform their own female technical capacity to over 20% and growing. “We believe fully in GirlCode’s huge ambition to ‘impact 10 million women across Africa in 10 years’, and we feel honoured to help extend GirlCode’s reach into KwaZulu-Natal,” says Selene Shah, executive lead of Talent, Learning & Culture at immedia. immedia, formally titled ‘the immedia ecosystem’, has a proud history of supporting Durban and its talent. Having been established in the city 23 years ago, immedia is staffed by a team that is largely enriched from schools and communities around the KwaZulu-Natal province, as well as some of the best talent from around the country and the continent. “Durban’s richness in people, patterns and community resonate with the cloud, social and mobile future into which technology is pulling humanity,” declares founder and lead strategist Anice Hassim, who refers to South Africa’s east coast as Silicon Beach. The team believes that, through the powerful combination of the province’s interestingly diverse mix of people and the unmatched lifestyle and creative environment offered, Durban has no other choice but to give rise to teams and initiatives that not only create outcomes, but do so with a soul and a purpose. “Durban has a natural human authenticity, a feature we have always been hesitant to strut when the measures of success were wealth or glamour which other cities appear better at trumpeting,” observes Hassim. immedia’s innovation has been recognised by The Innovation Agency and the National Science and Technology Forum and more recently, their business sustainability and values have been supported by Microsoft South Africa and the Department of Trade & Industry in a programme that aims to create employment, generate revenue, and create intellectual property within the country.